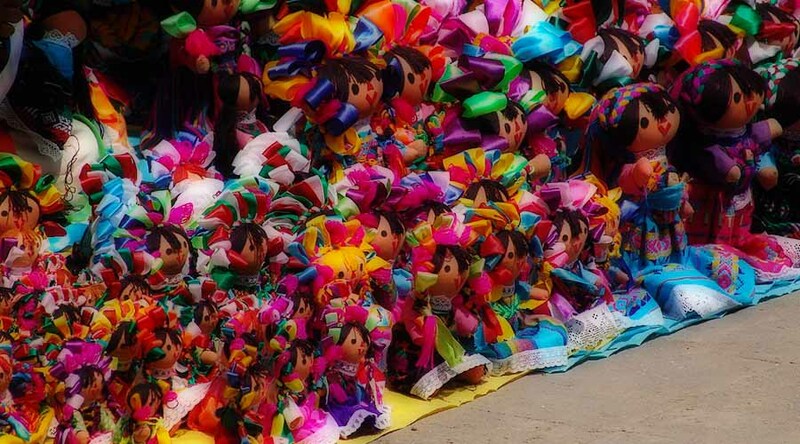 In Oaxaca’s artisan market, Oaxacan folk art is found among the sixteen ethnic groups of Oaxaca. It is full of textiles, jewelry, baskets, bags, and much more. It is also possible to see live demonstrations of how artisans make their crafts. If you do not have time to visit all the towns where Oaxacan folk art is produced, then the craft market is the place for you. For 38 years, in the center of the city, the Oaxaca Artisan Market has become a benchmark of national and international handcraft markets for visitors to acquire and admire the creations of Oaxacan craftsmen from the eight regions of the state. The Oaxaca Artisan Market, which is located on the corner of JP Garcia and Zaragoza, in the center of the city, houses artisans from the eight regions of the state. Walking through its corridors is a pleasure, because you know that many artisans continue with the family tradition. Many of them learned the technique thanks to their ancestors. Something that captivates both locals and foreigners in the market is the tranquility and cleanliness, however, there is still another factor that steals the eyes, especially of national and international tourists and even the locals: see how they make their crafts. In the market you will find artisans who create various regional clothing using the waist loom technique. In addition to textiles, many craftsmen also make or give the final touch, for example, to traditional alebrijes, embroidery, pottery, rugs, among other crafts.